Near my workplace there's a big triomphal arc. Yesterday I was pulling out of the parking garage, playing Debussy's La Mer at a high volume in my Cutlass, and when I drove by the arc they had a French flag flying over it in honor of Notre Dame. It gave me the chills and made me think about my strong French heritage, made me kind of proud actually. In fact I need to get back on my French language studies. Anyone else have similar moments? Last edited by zelenka; Apr-17-2019 at 13:20. Movies, rescoring scenes, trying out different tracks, I get the chills. Walking or driving in nature with music. Video editing, sometimes the effect in editing isn't with music but visuals and sounds. The music can be anything, it's all in the little moments. Everything in life is made up of small moments / seconds, you can make it your very own: currently I'm remixing classical music into various pieces connecting, one segment continues into another composer's segment so that it flows and sounds like a new piece altogether, this is how we compose in 2019, one way to do it. Make your own classical-progressive album. Add some evocative footage, or piece together multiple movies with the same actor, overdub some dialogue, thus an attempt to create a whole new movie. You can interpret something as powerful when it's not, see things in a new light and get the chills. Music will change the interpretation of a movie or story, changing the score to movies is a lot of fun. A movie or piece of music is all about interpretation. Whatever really, the inner eye. There were threads where people rescore scenes and post them. But this is only what I know. Weird stuff, no limits. Last edited by Ethereality; Apr-18-2019 at 06:52. I have no French heritage but I've visited France four times in the past six years. Each of the four times, I toured Notre Dame (sometimes by myself, sometimes with students). My wife and I were in tears watching BBC coverage of the fire because we know how much history is there and what it means to the French. I lit some candles and pulled up some Leonin and Perotin music while looking at the many pictures I've taken of the cathedral. It was like I was communing with a thousand years of the French culture. Not sure if that's the same thing you are talking about, but I felt as though I was grieving with the French but hopeful that the people would unite in solidarity. Maybe I'm a hopeless romantic, but it felt good to imagine the positive things that can come out of this. The French have an ability to take blow after blow over the centuries and still come back stronger. I think just about the entire civilized world was with France on this one. Henze is a master of surprises, excitement, never know whats coming next. EXPLOSIVE, riveting, full of suspense and mystery. magical/mystical. Last edited by DaveM; Apr-19-2019 at 06:47. 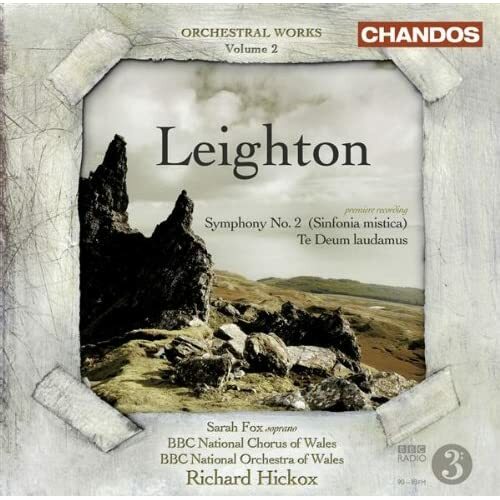 Yesterday, with kenneth Leighton's Second Symphony. ~All good art is about something deeper than it admits. Schoenberg's violin concerto - after a lyrical solo towards the end of the work the whole orchestra suddenly crashes back in. I nearly jumped out of my skin when I first heard that, and I still have to brace myself a bit even now. I listened to that this morning. I know what you mean. Great post. My mother was german, actually she was more Goth than german. Goths were the real old world germans. My father is true british. anyway, I love French culture/music more than any other. I love Ravel, Debussy ALOT. But also Henze, Hartman, who were germany's finest composers, exception of Wagner. So I do hold onto my german heritage via Hartman and Henze. , my English,,,no wait,,, I just love great composers, no matter where their origin, Henze though german, was more free spirited bohemian Italian. But to makea proper post to the subject matter, yes glad you asked the Q. As I am a huge supporter of the great yellow vest revolt. the thought came to mind. *Pettersson's music is the music for the yellow vest movement*. So yes music does have a part in our every day life events. One time I was sitting in my car at a park listening to the radio and Ravel's Valley of the Bells came on, and I had a profound music listening experience, and had never previously heard that piece in that way. I kept listening so I could find out the pianist, and it was Andre Laplante. Shortly after that I picked up his recording of Miroirs. Great stuff. Last night I was listening to this and it left me gobsmacked and in a state of awe. That Laplante Ravel cd has a following. I collect all/every ravel solo recording. I have that cd. last time I looked there was 1 offering at $$., yes listed at $137, Not worth that price, its OK, not among my top 5 for sure. Ravel always holds ones attention, I've yet in 35 yrs , to come across a negative comment on Ravel's solo. To negate those masterpieces could only come from a Neanderthal man. All times are GMT +1. The current date and time is Apr-25-2019 09:41.